Where do I find the serial number or SNID number on my Acer tablet? 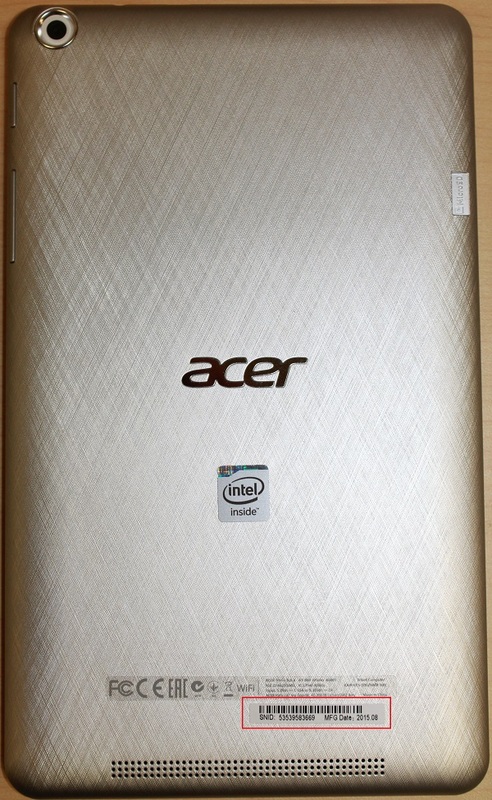 Most Acer tablets will include a white sticker on the back of the tablet that contains an SNID or Serial number. You can see an example in the image below. Note: Acer SNID and serial numbers will not use the letter "O", they will only use the number "0". Use Acer Care Center to locate your serial number. From the Home Screen, tap on Apps, and then Settings. Tap on About Tablet, and then Device Information.